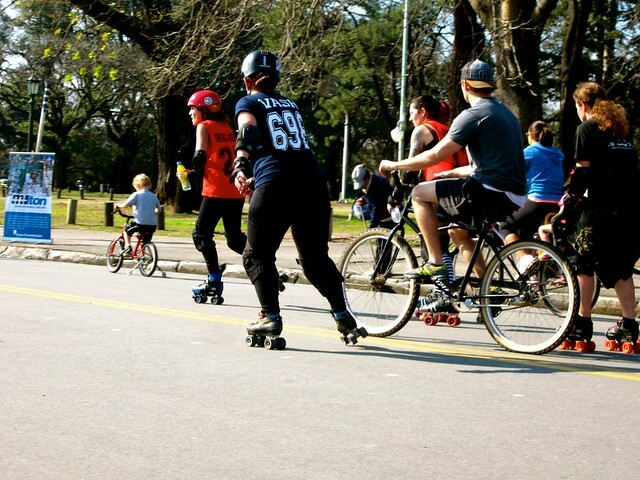 We can honestly say we have never seen so many people on rollerblades in our life. 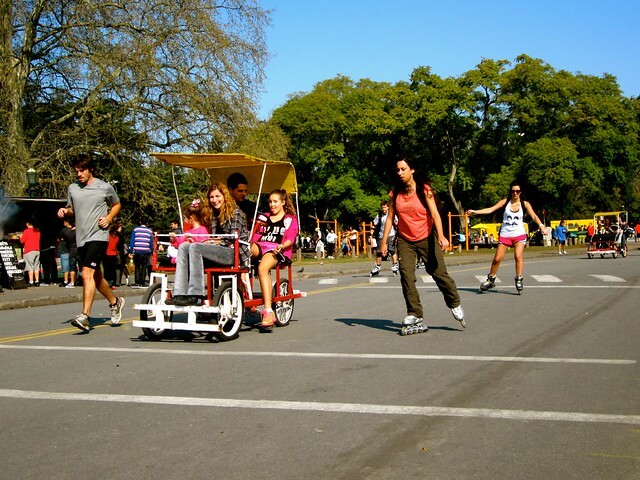 Our first trip to Bosques de Palermo was a chaotic yet exciting trip. 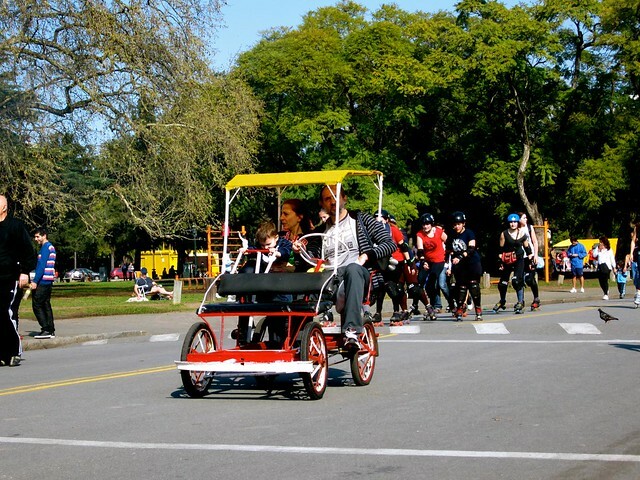 What we expected as a “nice Sunday stroll” through the Palermo park, we found to be a busy and active trip with the entire city on bikes, paddle boats, rollerblades or rollerskates. 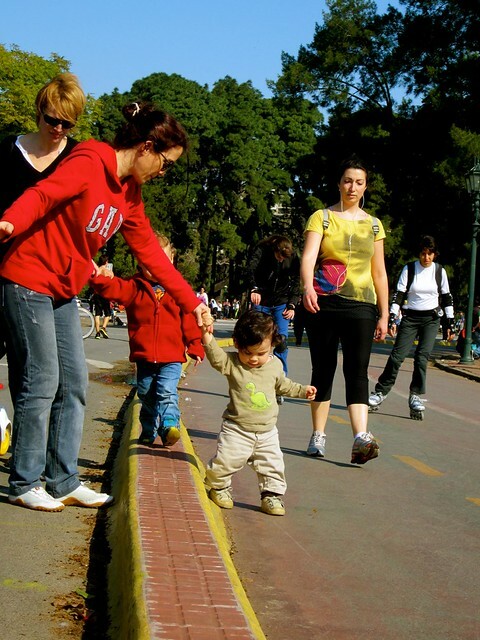 All ages took to the paved paths around the park moving at their own pace and fighting for space. Sunbathers laid out while street performers danced and ice cream carts jingled selling delicious helado. It was a true color explosion where all of my senses were on high alert. We were impressed by how skilled most of the rollerbladers were. 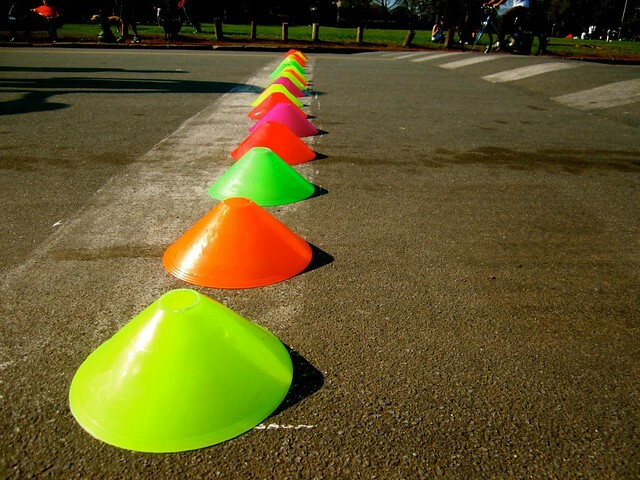 Skating on one wheel, in and around cones, but we still couldn’t shake this Human Giant clip. 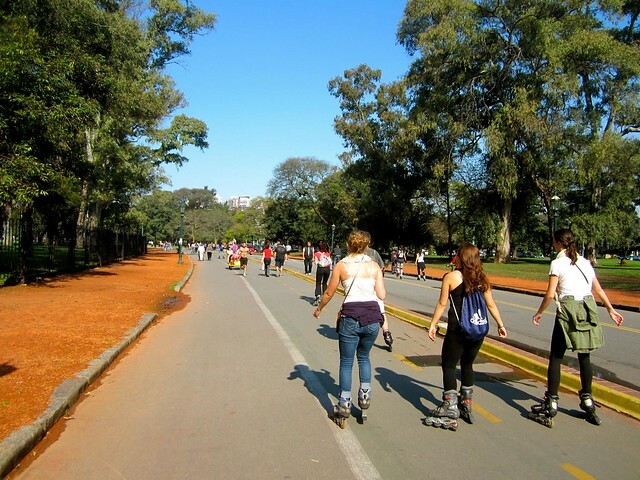 Needless to say, we returned for our “nice Sunday stroll” every weekend and loved every minute spent in Bosques de Palermo. 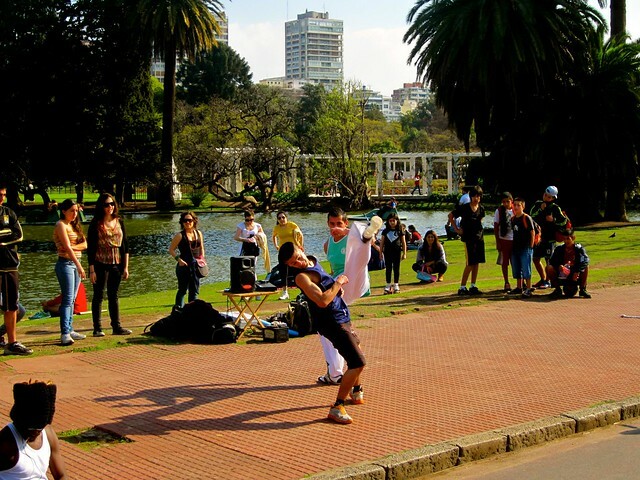 Rumor has it that the night time crowd of Bosques de Palermo is a less family friendly transvestite group. I personally didn’t hang around long enough to see for myself – but from recommendations I would keep kids outside of the park after-hours. 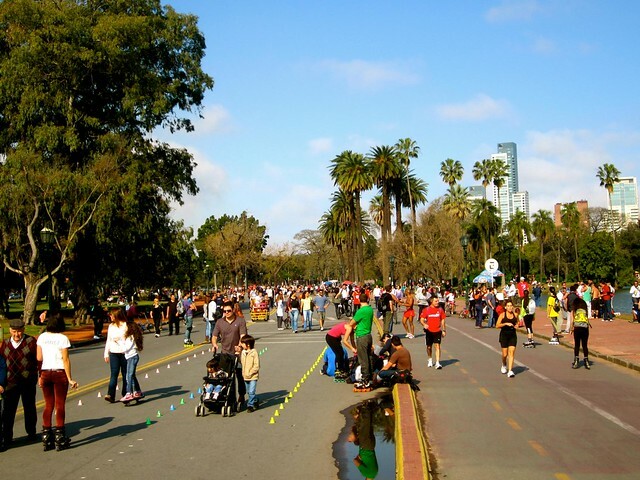 Have you spent the day in one of Buenos Aires many parks? I don’t know much spanish, but “HELADO” is one word I do know! Yum! 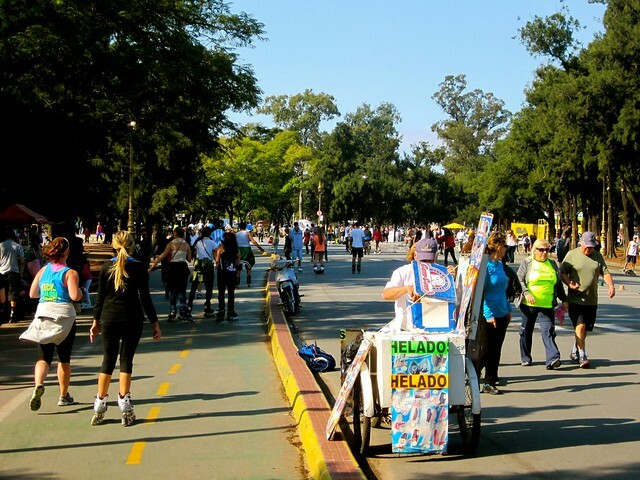 The Helado in Buenos Aires is AMAZING…! Wow. It looks like it might be dangerous to be a pedestrian there. I definitely don’t rollerblade! Ha I haven’t rollerbladed in forever – my mind was blown with all of the rollerblading that was happening! I experienced something similar in Paris a few years ago. They allowed rollerbladers to travel down one of the boulevards on a Friday evening. Not sure if happens now. We saw the same thing one night in Paris about 5 years ago! 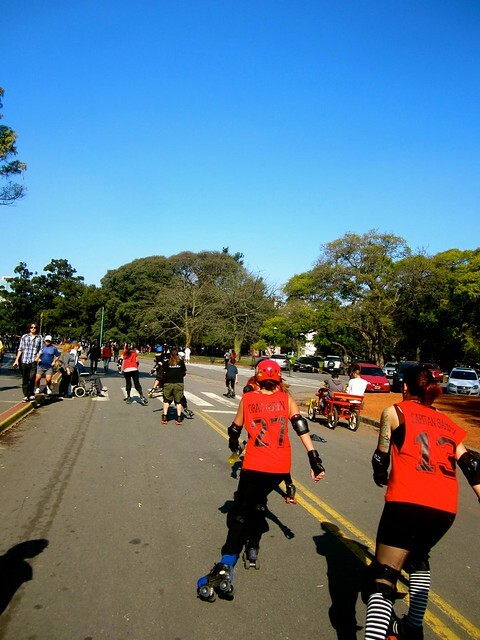 Massive amount of rollerbladers down the main streets!